Bluegill Energy can help you provide a better, more healthy work environment. Businesses, building managers, tenants and employees care about a healthy work environment because it can impact the health, comfort, wellbeing and productivity of building occupants. A Bluegill Energy professional can test your indoor air quality to see if it is healthy. Preferably, the indoor air quality of your facility should be better than the outside air quality. Pollutants in indoor environments increase the risk of illness. According to the U.S. Environmental Protection Agency (EPA); improved indoor air quality results in higher productivity and fewer lost work days. The EPA estimates that poor indoor air can cost the nation tens of billions of dollars each year in lost productivity and medical care. What are some ways to improve indoor air quality? Establish sufficient cleaning and maintenance practices and products. Monitor and control building energy use. Provide adequate lighting. The quality of light is more important than the quantity of light for efficiency and comfort. Bluegill Energy’s staff of trained and certified professionals can answer all of your healthy work environment questions and provide verification services in a timely manner. 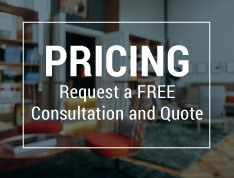 Contact us to request your free consultation and project-specific pricing.